The story behind the need for this is here. 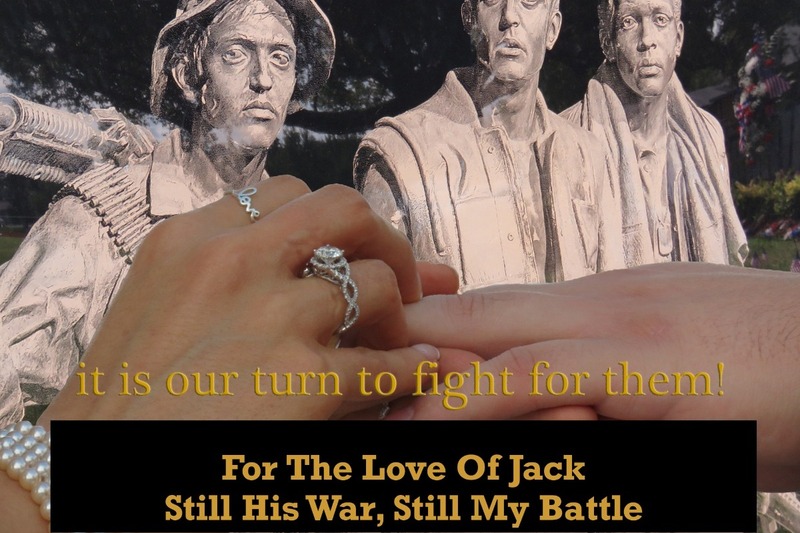 In 2002, I had the copyright done For The Love Of Jack, His War My Battle. It was while families like mine were America's secret war fighters. No one wanted to talk about #PTSD or the price being paid all across this country, long after they came home from war. In 2003, I trusted the wrong publisher and it has been a battle ever since. Long story short, this effort is to be able to have the books printed by me so that I take back my own power, and be able to give these books away for free! This is the announcement about what the fund are going to. I am going to have them printed and give them away for free! No, I won't make any money off this but this is by my choice and not someone else deciding I should not get paid. The highest donor will get the book that is not supposed to exist along with the packing slip! I'll even sign it. So far three are tied at $100.